This is the second volume of the letters of Bishop Basil of Caesarea in the Fathers of the Church series (Letters 186-368). It includes the correspondence from the year 374 until the end of his life in 379, as well as his undated letters and some letters of dubious or spurious authorship. 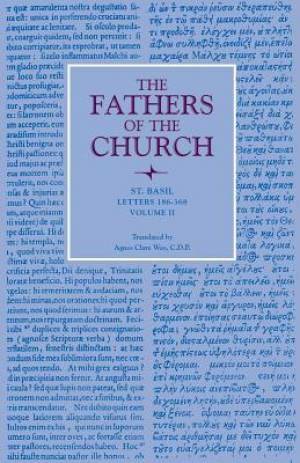 The majority of this collection consists of authenticated letters, many of which Basil has devoted to the details of church discipline as well as to theological questions and to his own self-defense against the informal accusations of heresy that he suffered. Letters (186-368) by Basil was published by The Catholic University of America Press in January 1955. The ISBN for Letters (186-368) is 9780813215648. Be the first to review Letters (186-368)! Got a question? No problem! Just click here to ask us about Letters (186-368).